The first night competition that the club participated in was held at Gladstone Park, North Parramatta. Transport, as usual, was a problem. However, boyfriends who had cars were conned into loading up their cars and getting the girls to the game on time. It was noted that the chauffeurs rarely remained to cheer on the girls as they mysteriously disappeared to entertain themselves elsewhere. Originally the courts were grass but eventually converted to hard courts. For most of our girls this was their first experience of hard courts and most had an awful fear of falling and gouging out knees and hands on the rough surface. 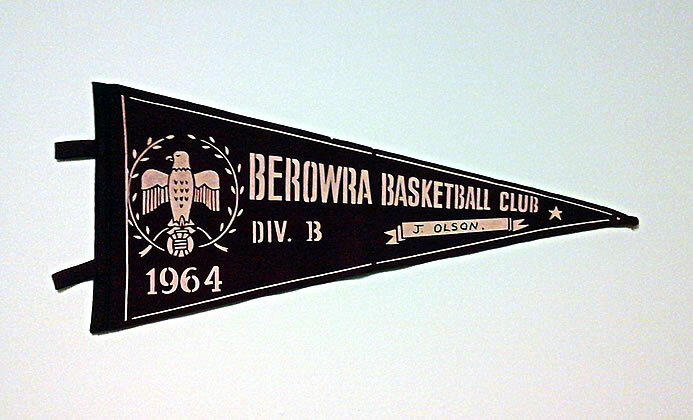 Thanks to Jenny Bentley (nee Olson) for access to records, photos, memorabilia and display items from Berowra Netball Club. Thank you also to the members of the first two Berowra Netball teams for their memories drawn from their club’s 50th anniversary (2010) display items and quoted above.